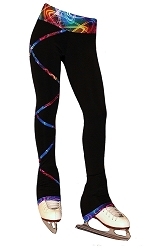 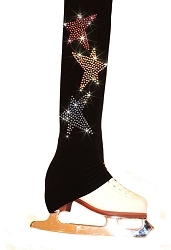 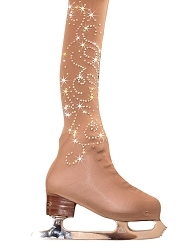 Our selection of figure skating pants includes comfortable pants with Criss Cross design, elegant Venetta style pants and sparkling rhinestone Pants, that are form-fitting and well suited for routine practice sessions. 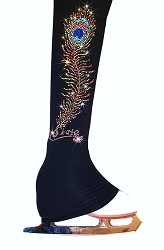 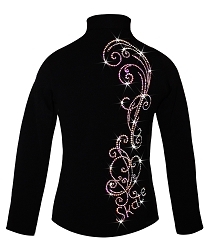 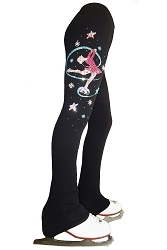 Girls and women ice skating pants also can be personalized with a skater's name in glittering rhinestones. 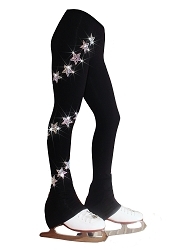 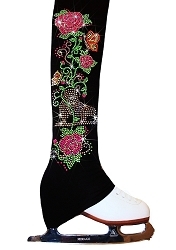 Ice skating pants for girls with rhinestone design applique, figure skating practice pants, over the boot skating pants, power fleece figure skating leggince, polartec skating pants, supplex skating pants.